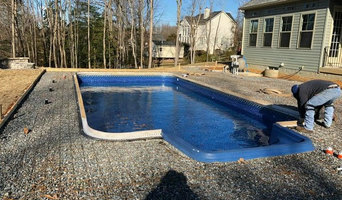 Custom Pools and Landscapes of Richmond, Inc. is one of Central Virginia`s premier full service outdoor contractors. We work closely with our clients to provide creative landscapes that reflect their unique style and tastes. Custom Pools and Landscapes of Richmond can capture and create incredible beauty and splendor for any and every landscape imaginable. From cutting edge design to top quality installation we provide our clients with the highest quality work for the best value. We will work with you every step of the way: from idea building to innovative design to top notch installation. In addition to developing beautiful designs and projects with our clients we also build long term relationships. We realize that our next best clients are the ones we already have! Our goal is simple: provide our clients with the highest quality work at the best value. It's simple: We do it all, and we do it well. . . One company. One contract. No worries. We are a full service Central Virginia landscape contracting company providing exterior solutions to discerning homeowners who deserve personalized attention, creativity, quality, craftsmanship and lasting relationships. We opened our doors in a small store downtown Fredericksburg specializing in the service needs of our customers. We have now expanded our trade into swimming pool construction, building custom in ground gunite swimming pools & spas, gunite renovations, and full retail store. We take a lot of pride bringing back the lost art of customer service. Our approach is simple, listen to the customer, and design an outdoor living space that will be the envy of your neighbors. Between the service and construction we offer over 30 years of experience in the swimming pool industry. With this experience we offer a huge data base of information that can benefit your swimming pool needs, while always training and staying up to date with current technology in the services of the swimming pool. Experience the AAA Difference. After designing and building thousands of pools and spas, our reputation for utilizing meticulous old-world craftsmanship and only the finest quality materials remains unchallenged. That's why so many people entrust the pool of their dreams to the most experienced pool company in the area. We build gunite, vinyl, fiberglass and above ground pools. River Pools specializes in creating beautiful outdoor settings through the design and installation of elegant, low maintenance, inground fiberglass swimming pools. Since 2001 we have had the opportunity to serve over 800 clients (virtually all found on our reference list) throughout Virginia, Maryland, and West Virginia. Through the in-house manufacture of our own fiberglass swimming pool shells, we have created an opportunity to offer our clients a cutting edge product, installed by skilled craftsmen, at a superior value. Are you thinking about getting a pool? I am a pool designer and can help you every step of the way. Pool companies only want to sell you what they install and 9 out of 10 times won't suggest the best fit for your budget and property. That's where I come in. I can help you figure out exactly what you should get and can design the entire space so that you can hand a pool contractor a biddable design. 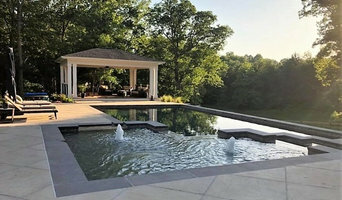 Swimming Pool and Water Feature Design/Build, Class A Contractor Retailer of Fine Outdoor Furinture and specializing in Gunite Aquatic Construction. At Ultimate Pools, we are dedicated to constructing inground swimming pools and spas of any size or shape and for any purpose. If you can imagine it, we can build it. 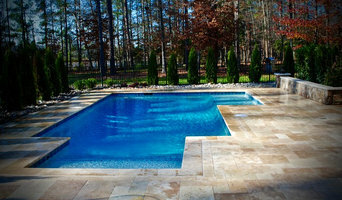 As your premier Virginia pool builder, we have been serving Richmond and the surrounding areas for more than 25 years. We have committed ourselves to servicing every pool to the highest standards, and we believe in exceeding your expectations with pool construction, renovation and maintenance. Ultimate Pools specializes in new pool construction – building custom-designed gunite swimming pools that become an extension of your home. We also specialize in renovation services where we will transform your existing pool into a backyard retreat you will love, complete with new materials and energy-efficient equipment. We continuously strive to build our customers the backyard of their dreams. To guarantee that we meet all the needs of our customers, we follow the Ultimate Pools Customer Service Process, which begins with listening. We are committed to listening to and guiding our customers in the direction of realizing their dream – whether classic or elaborate. You can trust the team at Ultimate Pools because we desire to continue to be a leader in the swimming pool industry by keeping our staff educated on the evolving business of pool technologies and services. We believe in continually learning about and incorporating new materials, as well as equipment, into our innovative designs. Three locations Amelia Courthouse, Powhatan, and Farmville,VA for 25 years all year around. References and in home services are gladly available. Personalized sales and services. *Authorized Bullfrog Spa Dealer* Pla-Mor Pools has been family owned and operated since 1968. Our two stores, conveniently located in Mechanicsville and Ashland, are full service destinations for all of your pool and hot tub needs. A sampling of the products we carry includes: Bullfrog Spas, Baquacil, Poolife chlorine, Mineral Springs from BioGuard, Pristiva Premium Salt Products, Leisure Time, GLI Vinyl liners, Aqudura Heat Pumps and Polaris Automatic pool cleaners. We also offer Big Green Egg Grills (and smokers) for the barbecue enthusiasts. Medallion Pools is your #1 choice in manufacturers and distributors for inground pools, above ground pools, spas, swim spas, and swimming pool stairs. We have been owned and operated by the same family since our founding in 1960. If you are interested in any of our products please give us a call at 804-526-7665 so we can put you in contact with the company that sells our products in your area. Family owned and operated for over 30 years, come see us for your pool needs or if you are looking to be a new pool owner! For the most convenient place to buy all the pool supplies you need all season long, please visit our store! We offer the best selection in name-brand pool products, along with outstanding customer service. Our retail store takes pride in offering high-quality products and superior customer service. We go to great lengths to ensure we carry only the best and most reliable products on the market today. Our wide selection of popular name brands makes it easy to find your favorite products and, if you need help, one of our trained sales staff members will be glad to assist you with knowledgeable recommendations. Our retail store is focused on bringing you the newest developments within the pool and spa industry. We are dedicated to supplying our customers with only the best quality products, and we are proud to be part of SCP’s Backyard FunStore program. Remarkable products and comprehensive customer service are what we offer every client. Contact us today for more information! We are a 50 year old organization of custom swimming pool builders. We are the only international organization of this type. Membership is by invitation and is extended only to those builders who attain a certain level of success and maintain a high level of customer satisfaction within their geographic area. Since 1970, Douglas Aquatics has been providing pool design, construction, renovation services, management, maintenance and service for commercial sites and private homes. Specializing in turn key projects including landscaping. Our 40+ years of experience assures you that we will be here today and not gone tomorrow. Repeatedly named one of the Nation’s Top 100 Pool Businesses as awarded by Aqua Magazine. What exactly do Richmond pool builders do? If you are planning for a new pool in Richmond, VA, a swimming pool builder will analyze your outdoor space and your aesthetic wishes to determine an appropriate design for your yard, installing it once the plan is developed and approved. Once installed, some pool companies in Richmond, VA can handle the necessary cleanings, water testing, renovations and equipment replacement or repairs for your pool or spa. If not, many can also suggest Richmond, VA swimming pool contractors or maintenance services to help with upkeep or repairs down the road. Here are some related professionals and vendors to complement the work of swimming pool builders: Garden & Landscape Supplies, Landscape Architects & Landscape Designers, General Contractors, Landscape Contractors, Solar Energy Contractors. Before hiring a swimming pool construction company to create your new Richmond, VA pool, determine how you'll be using it. Will it be for fun or for lap exercise? Will the primary users be children, adults or a mix of the two? Knowing the use can help you find Richmond pool builders who shares your aesthetic. Once you find swimming pool builders in Richmond, VA who share your style, research is critical. Review customer references and comments, collect at least three to four estimates to compare, meet with potential Richmond pool designers and builders in person and ensure that they are Virginia certified service professionals and licensed with the registrar of contractors before making any final decisions. In addition, get a sense whether they plan to complete the pool installation and be done with it, or whether they seem interested in building a long-term relationship with you. Be wary of the former: it's likely a reflection on the level of quality of the pool construction they do. 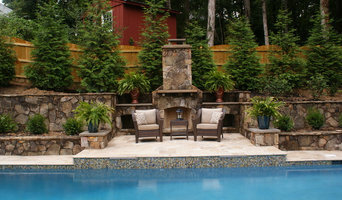 Find a Richmond pool contractor or designer on Houzz. Narrow your search in the Professionals section of the website to pool builders in Richmond, VA. You can also look through Richmond, VA photos by style to find a pool or spa you like, then contact the local pool company who designed it.